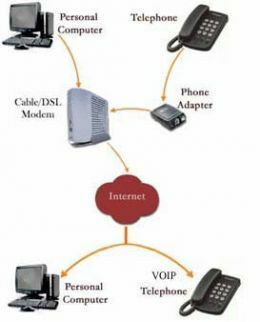 Voice over Internet Protocol (VoIP) is a technology for communicating using “Internet protocol”. Several VoIP services are available today. Some VoIP services need only a regular phone connection, while others allow you to make telephone calls using an Internet connection. Some VoIP services may allow you only to call other people who are using the same service, while others may allow you to call any telephone number around the world including – local calls , long distance call, wireless, and international telephone numbers. VoIP converts the voice signal from your telephone into a digital signal that can travel over the Internet. If you are calling a regular telephone number, the signal is then converted back at the other end. Depending on the type of VoIP service, you can make a VoIP call from a computer, a special VoIP phone, or a traditional phone. Wireless “hot spots” in public locations such as airports, parks, and cafes allow you to connect to the Internet, and may enable you to use VoIP service wirelessly. If your VoIP service provider assigns you a regular telephone number, then you can receive calls from regular telephones that don’t need special equipment. In order to use VoIP, you may need a high-speed Internet connection such as broadband Internet connection. Depending on the VoIP service you purchase, you may need a computer, a special VoIP telephone, or a regular telephone with an adapter. If you are calling a regular telephone number, the person you are calling may need any special equipment but just a telephone. If you use a VoIP telephone or regular telephone, you place and receive calls same as you do with regular telephone service. If you use VoIP with your computer, a telephone icon usually appears on your computer screen. Clicking the icon allows you to dial numbers from a pad, or dial a call by clicking on a contact’s pre-programmed name and number. You will then hear a ring similar to any other call. Computer-based VoIP services have a variety of ways for notifying you that you have an incoming call. Some VoIP providers do not charge for calls to other subscribers to the same service. Some VoIP providers charge for a long distance call to a number outside your calling area. Other VoIP providers allow you to call anywhere at a flat rate for a fixed number of minutes. Few VoIP service providers may allow you to select an area code for your VoIP service that is different from the area code in which you live. Calls within your VoIP area code may not be billed as long distance calls. People calling your VoIP area code from another area code may have to pay for long distance charges. VoIP offers features and services that are not available with traditional telephone services. If you use VoIP, you can decide whether to pay the cost of keeping your regular telephone service. You can also use your computer and VoIP service at the same time. 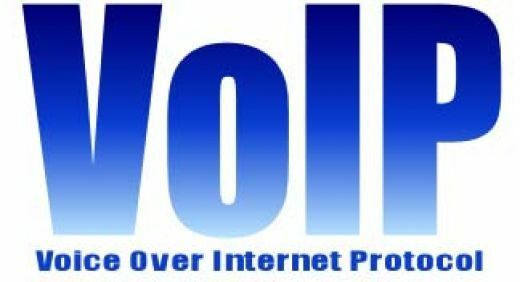 You can also take some VoIP services with you when you travel and use them via an Internet connection. Here are some free phone call services that do not charge fees. Most of them require you to download free software from a web site and start making free calls. PC to PC calls are completely free while pc to phone calls may be charged at minimum. Dialpad.com : Dialpad.com a stylish and award winning software that is easy to use. Free PC-to-phone calls can be made from anywhere to the U.S. and South Korea. If both call participants have signed up with Dialpad.com, PC-to-PC calls can be made from and to any place in the world. To make such a call, just type in the person’s user ID instead of their phone number. If they are online, the call will be connected. Go2Call.com : go2call.com is a European service and is very much similar to dialpad.com. This service does not require the downloading of any software. It offers unlimited free calling to Belgium, Canada, Germany, Ireland, the Netherlands, Sweden, the UK, and the U.S., from anywhere in the world. Go2Call will also give you 600 minutes of PC-to-phone service to all other European countries for $18/month. MediaRing.com : MediaRing.com is best if you want to reach China and Canada specifically. You can also send voice mail messages to people easily. Once recorded, the voice mail is stored on MediaRing.com’s server and a link is sent to the recipient. When the recipient clicks the link, your message will be played without any special software required. NetMeeting : This is included with Windows 2000 and is a very popular service. It is most commonly used to make PC-to-PC calls between 2 people with NetMeeting. Net2Phone.com : You can Net2Phone by downloading a software that is available in various languages. Net2phone.com allows you to send voice mail to an e-mail account. As long as the receiver has signed up with Net2Phone, they can hear the message just by clicking the attachment. Yahoo! Messenger is also powered by Net2Phone. PhoneFree.com : This service provides echo cancellation, a white pages directory to check for online users, and a voice messaging service that records and sends messages as .wav files. The .wav file is stored on your hard drive and you e-mail it whenever and for whomever you like. Recipients needn’t have signed up to PhoneFree to hear the message, but can use whatever media program they have. PhoneFree also offers PC-to-phone service to anywhere in the world at discounted rates.